My 2nd Titian is now completed “in-the-white”, initial sound testing is looking very positive! 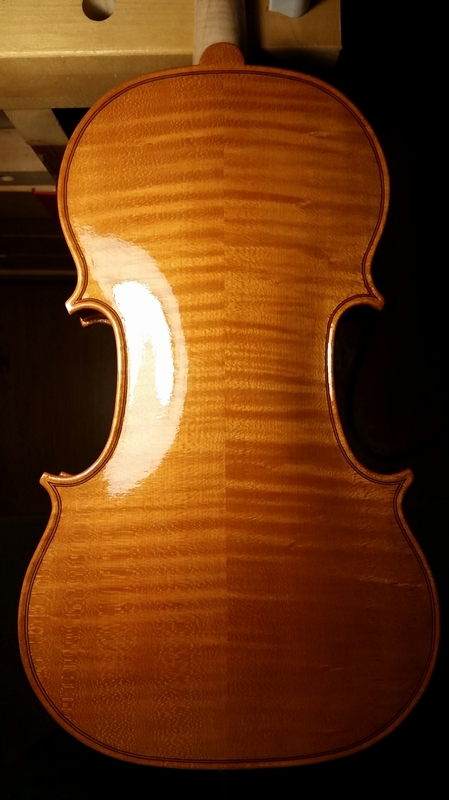 Of course the varnish will adjust the tone. Vernice bianca will be used for ground and the final color will be a orange-brown. No antiquing is planned.